MCT 26th Edition BLOGGY HOP!!! Inspire Me Tuesday & Tag it Tuesday! Let's Promise to Always be Friends! Artbooking Cartridge ~ Halloween Book! Hello everyone! This is Cassandra and I'm back to host another Designer Challenge. Last time I hosted the challenge, the goal was to use the colors of the rainbow. So this time I decided to change it up a bit. Are you ready? The guidelines for this challenge: Make a project of your choice using only BLACK & WHITE! eek! 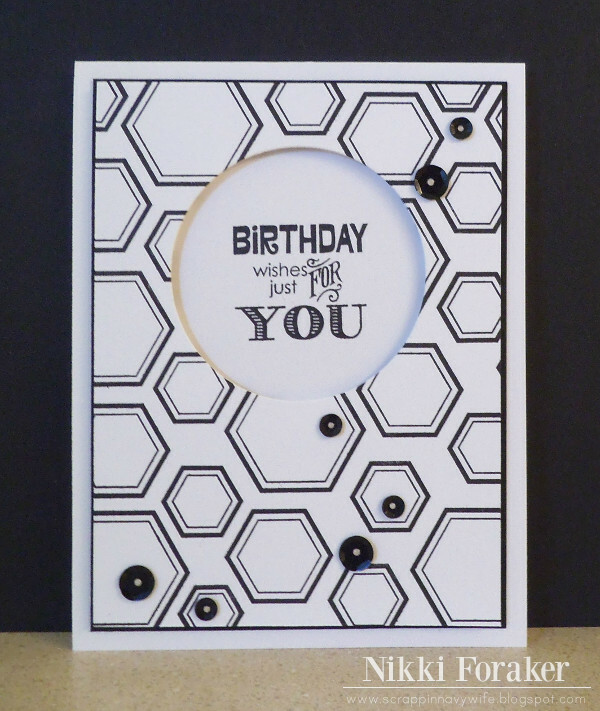 That's right ~ no color, just black and white cardstock, embellishments, fibers, photos, etc. This past weekend, I hosted a Bridal Bunch for my BFF and this was the pretty card I made for her. I cut the scalloped square with my Cameo and a file from the Silhouette Online Store. The pretty hearts are cut using the heart die from the MCT ~ 100% Sweetness. 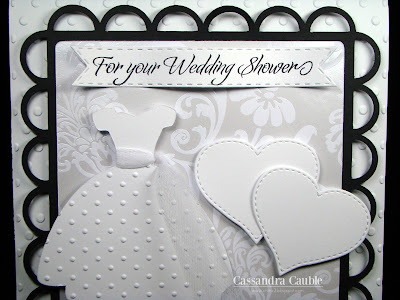 The "For your Wedding Shower" sentiment is from the MCT ~ More Gift Card Sentiments. The label is from the MCT ~ Vintage Stitched Label Dies. I cut the wedding dress with my Cameo and a file from the Silhouette Online Store. I hope you like it! For more information, head on over to my blog for all the fun details. Now let's take a look at what the rest of the Design Team has created. Good morning my creative friends! :) Aren't all of these Black & White projects AWESOME??? My design team made it look SOOOO easy, but I had a hard time because I kept trying to add color when I wasn't supposed to! lol.... Well, I actual like how my card came out! You can see in my video below how I put it together! HAPPY CRAFTING everyone! I can't wait to see what you all make! CONGRATS to Miss Mollie! Please grab the winner badge------> to the right of my blog & proudly display it on your blog! Also, email me your address here at info@my-creative-time.com. ~ Make ANY project of your choice, but make sure its BLACK & WHITE only! ~ Deadline for this challenge is August 20th at midnight PST! Oh Emma your card is so cool. Gosh I am always amazed at what you dream up. I do have the clear acetate and find uses for it but never thought of making a card out of it so Wow you really do come up with great ideas and it was so much fun watching you create your card. You did an amazing job!! I love the card!!!! Very creative! Now, to see if I can create something! WOW!! Loving all of these wonderful black and white projects--gorgeous! Absolutely gorgeous projects and such a great challenge! Quick question: where do we submit our entries? I sooooo want to play! Thanks for all the inspiration! Wow~You ALL did a FABULOUS job on these creations! I love the challenge...which it will be for me, lol! How FUN tho...hope to be back!!! Hi Emma, I am new to this whole crafting thing, and to be completely honest to the blogs too. I have been following your blog for a little while and really enjoy it the challenges and especially the videos. Emma my question might sound silly, but I was wondering to participate in your challenges do I have to have a url to link my project. I don't really understand the whole url thing. Is it that I would have to have a blog of my own to be able to share my card? What a great challenge! Emma, great card - the clear looks so neat! Dt, you girls make it look so easy, Gorgeous job girls! OH how pretty. I love the your take on this challenge. I also like that you went back and add the black and white strip across it. Just pretty!!! I just love this challenge and I can't wait to play along!! Just love what you and your design team have came up with this week. Adore everything!! Awesome new challenge and amazing inspiration projects!! The DT has outdone it again!!!! Thanks for sharing all these gorgeous projects and Emma your card is just so fun!!! Loving the chalk board look!!! I love Black and White Cards. Thanks for sharing! Emma thanks for your daily inspiration. This was a fun challenge. Love all the black and white cards! 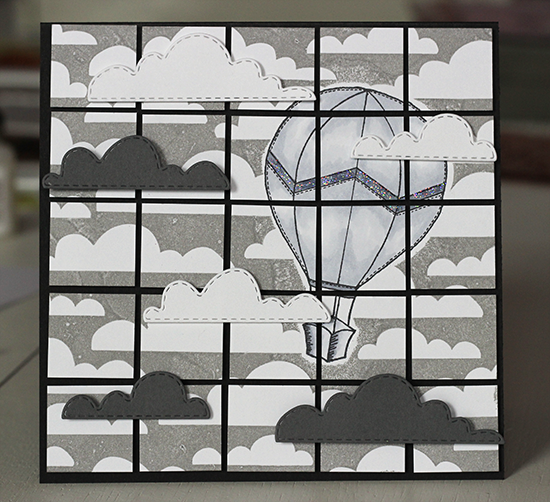 The DT Projects are lovey - I like Black and White and Embossing folders! Enjoy your week! B&W... a challenge for sure! But I did it!! Beautiful cards. Thanks for inspiration! A card for the Black & White Challenge. I used Keepin' It Classy, Just Simply Live and Wow So Many Candles. Timeless Twine and Black sequins from Neat and Tangled. A fun challenge! I love this challenge. I love all the design team projects. Thanks for a great challenge. A challenge card. I used It''s All About You, Wow so Many Candles, More Gift Card Sentiments, Vintage Sentiments, Many Greetings, Gift Card Sentiments, You Are Perk-fect, Vintage Stitched Label Dies & What's Growing on? 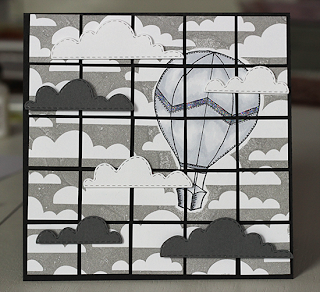 I also used Tuxedo Black Timeless Twine and PK-1202 The Moodies 2 1/4" face stamp by Peachy Keen. I used many sets to make like my own Subway Birthdays and got creative with the Vintage Stitched Label Die to make a window with a frame. Love this challenge and I just made it under the wire! Whew! It's been a long couple of weeks. Thanks so much for the fun challenge. thansk for the fun challenge and all the wonderful inspiration! 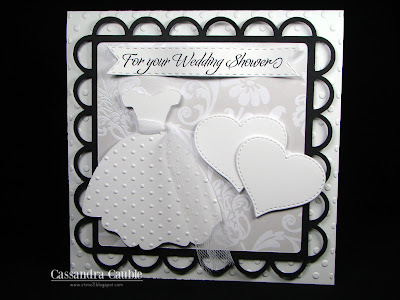 Love all the "black & white cards! I enjoyed making my own for the challenge. Love this challenge - and a challenge it was!! So tempting to add another colour, but I exercised restraint!! Thanks for the 'stretch my imagination' opportunity!! WOOOOHOO I made it ;)LOL! thanks for another fun challenge, I gotta say I was kind of surprised that Cassandra hosted a B/W challenge;) I love her creative ways of color usage and this was kind of different, but love it all the same!... What a fantastic display of talent your DT showcased!!!! Thank you for all the inspiration! 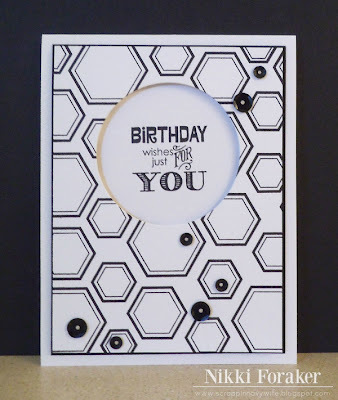 Fun hexagons for the Black & White Challenge. Thanks to the blog post.